Nah, I am not referring to the Imp vs Succubus debate; let them fight that out on EJ or the forums. I am referring to the non-combat pets. The other night, I ran the holiday boss and was lucky enough to pickup a Toxic Wasteling. 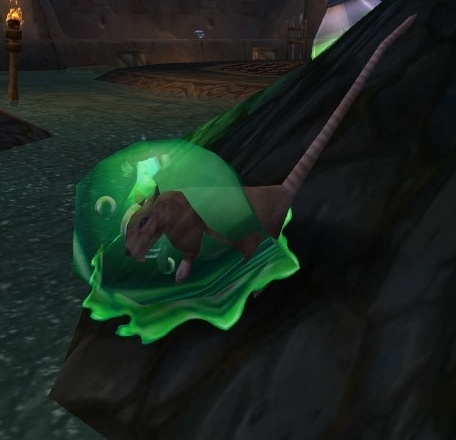 I had not read up on this little guy, but he's absolutely cool with regards to the Critter Killer guild achievement. Summon the wasteling, and you get a blob of green goo following you around. As you encounter critters, this guy will pounce on them and eat them. As he does, he grows from small (think frog) to about the size of a regular mob. After I saw this happening to the chickens in the center of town, I spent the next hour trying out different critters and trying to judge range. This pet is indiscriminate. He will eat rats, cats, beetles, snakes, moths and mechanical chickens. This pet is short-sited. He will only eat critters that are roughly within 10 yards. This pet will leap on critters when you run by. I was mounted and running between two locations. He stopped, ate a critter then caught up with me. This pet will follow. I flew from the Uldum daily to knock the pickers up the river (picking herbs) to the tank bombing daily and he followed me all the way. Stay fairly close to the ground and you're golden. Just don't fly over a land mass that has no easy roads (AH up rise to flight master for example). My complaint about this pet is it's sound effect. It gurgles constantly. Just a slight background noise when it is around you, but still there. I saw a Personal World Destroyer on the AH for 500g and snagged it. 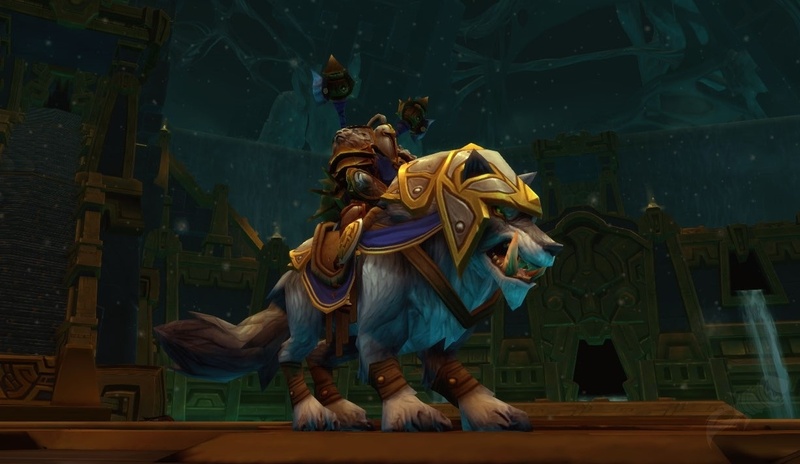 WowHead lists it at over 1000g at the moment, so I considered it a deal (even though a guildie could have probably made it for far cheaper). So far no critters stomped and no worlds destroyed. Maybe it still needs improved animations?